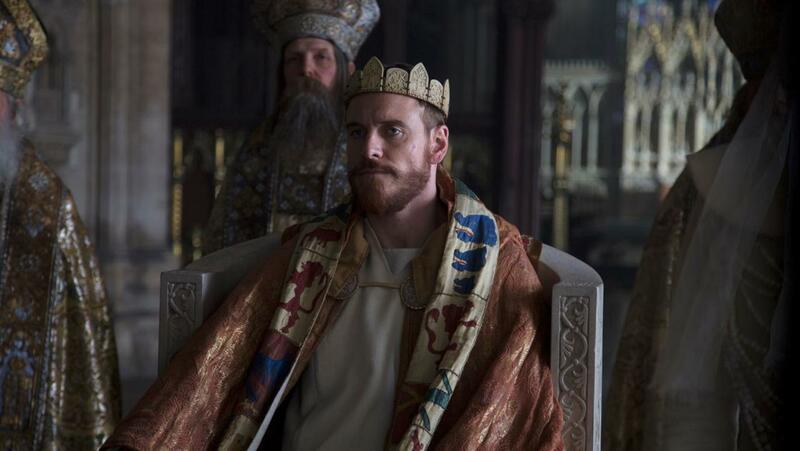 Macbeth is certainly one of Shakespeare’s most popular works, and after so many adaptations through the years, there’s any wonder that a new film of the play could bring anything new to the table. But somehow Australian filmmaker Justin Kurzel takes the source material, cuts out its best parts and makes it his own, contributing unique elements and creative flair so that it feels original and refreshing. Keeping the setting in Middle Ages Scotland and retaining the original lines, cutting out some of the fat around the script, the excellence of the film is derived from it’s re-interpretation and reimagining of some of Macbeth’s most profound scenes. This, and only because of this, does the film still shock and mesmerise after centuries of stage performances and film adaptations. The right cast is always the most central part of any Shakespearean adaptation and Macbeth is fortunate to have one of the most impressive casts this year. Michael Fassbender is extraordinary in bringing Macbeth to life, with his internal conflict easily but subtlety read through his facial expressions. You can feel the anger and sadness through the screen and his delivery of some of the famous soliloquy’s are more dazzling than they come across on stage. On the other hand Marion Cotillard falls slightly short in her performance as Lady Macbeth. In a time with such incredible performance by Robin Wright in House of Cards, Helena Bonham-Carter in Sweeney Todd: The Demon Barber of Fleet Street and Laura Linney in Mystic River, where they fully evoke the Lady Macbethian characteristics, Cotillard fails to show the drive and be the force behind Macbeth that the character is most known for. Even so, Cotillard is a solid force in the film, despite her being unusually considered for the role. Of course there are many Game of Thrones influences, with the primary battle scene – coming after a beautiful melancholy opening scene – a striking and exhilarating sequence of graphic violence, in slow motion and with Jed Kurzel’s thrilling score. The landscapes are the perfect backdrop to the intense drama and the art direction and set design are extraordinary, particularly towards the end of the film. What’s most strange yet astonishing about this adaption is how it is so visceral and raw. Rather than emulating the Steven Spielberg style of classic, perfected filming, Kurzel’s Macbeth is fearless and headstrong; each blood drop splattered without hesitation and every thing is as realistic as possible. It enriches Shakespeare’s words with modern cinematic techniques and doesn’t stick to tradition, which is what makes it so brilliant. Sounds like an interesting film from your review, going to have to add it to my watch list now I think. The cast seems like a major draw card, hope I’m as impressed as you were! Great review. Can’t wait to see it, sounds like a good film from your review. Top work!